Due to the actuator's high resolution of only a few nanometers, not only those applications in classical mechanical engineering are included, but also alignment of optical components in astronomy, or material research in synchrotrons, and in semiconductor manufacturing for example. 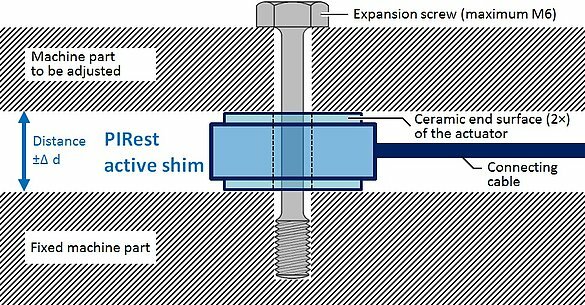 When a target or actual gap between two components in a machine changes, it could be necessary to adjust it. 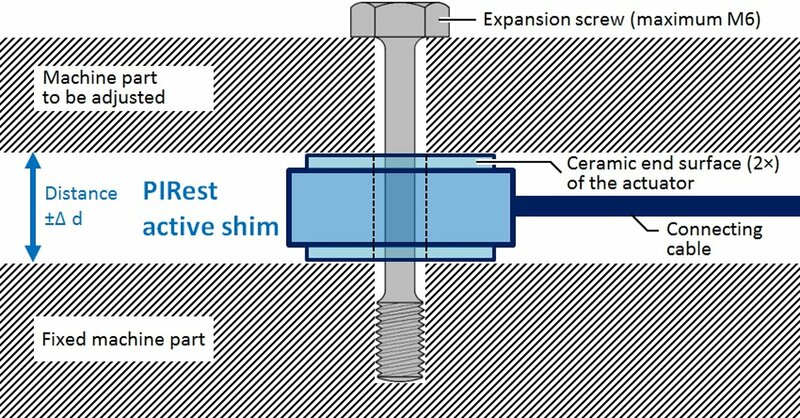 The disadvantage of classical flat washers that are ground exactly to the required gap, is that they need to be inserted mechanically. It is not always possible to adjust them as finely as required and the predefined gap cannot be changed any more. 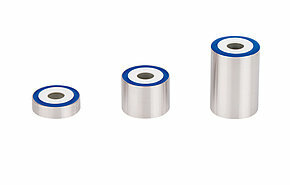 This is different in the case of the piezo-based PIRest active shims, which only need to be inserted once and can actively adjust or readjust the gap between two components. Conventional piezoceramic actuators were not suitable for this purpose. The electrical voltage (offset voltage) at the actuator needs to be maintained as long as the displacement is required – a considerable disadvantage for the lifetime of the actuator and the equipment of the machine, which also requires an additional and stable power supply. 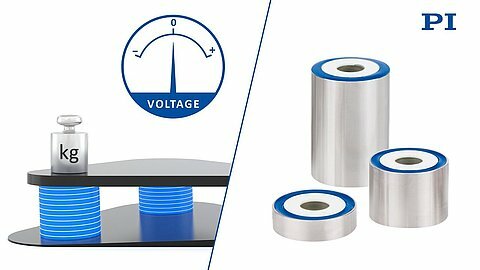 Although the PIRest technology is based on piezo actuators, it nevertheless maintains a stable displacement with nanometer accuracy after adjusting even without offset voltage. 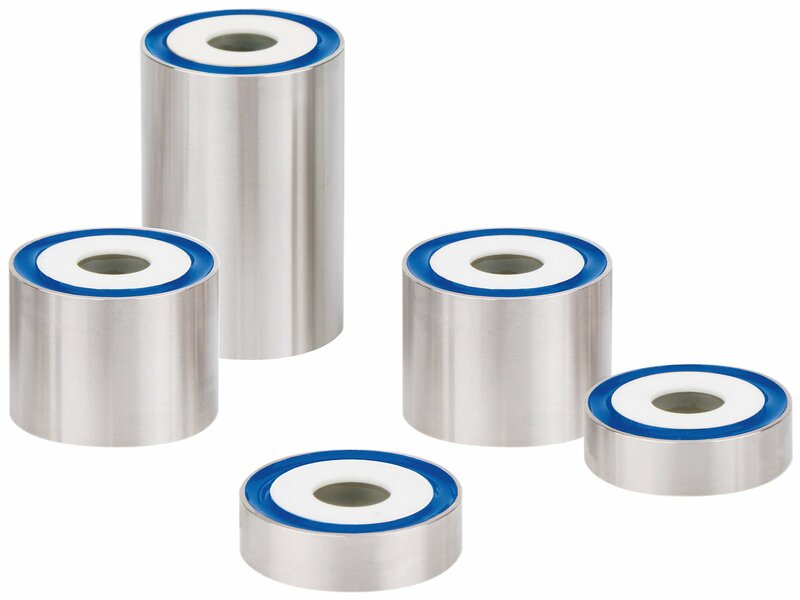 The active shims are already designed into the machine during the initial construction. They can be made in virtually any shape and size and integrated almost anywhere – as plates or rings or even complex hybrid drive components that actively compensate vibration beyond static adjustment or perform other motion with nanometer accuracy. 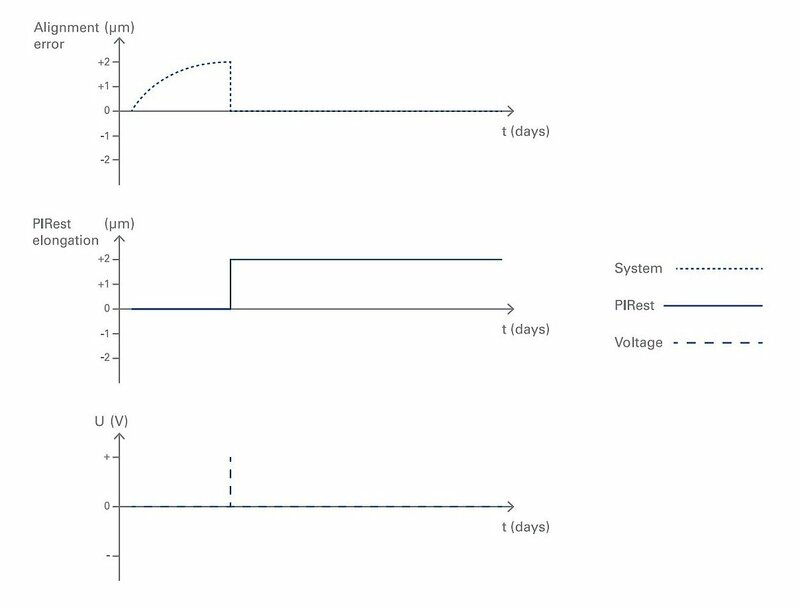 To readjust the static gap, a voltage connection is provided for the active shim, which only needs to be connected to a voltage source for the respective adjusting process. PI offers a mobile power supply for this adjusting process that makes setting very easy. 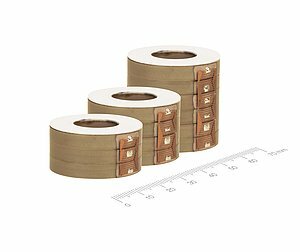 This considerably simplifies adjustment at inaccessible places because any cables required can be considered during the design of the machine and therefore routed permanently in the system. 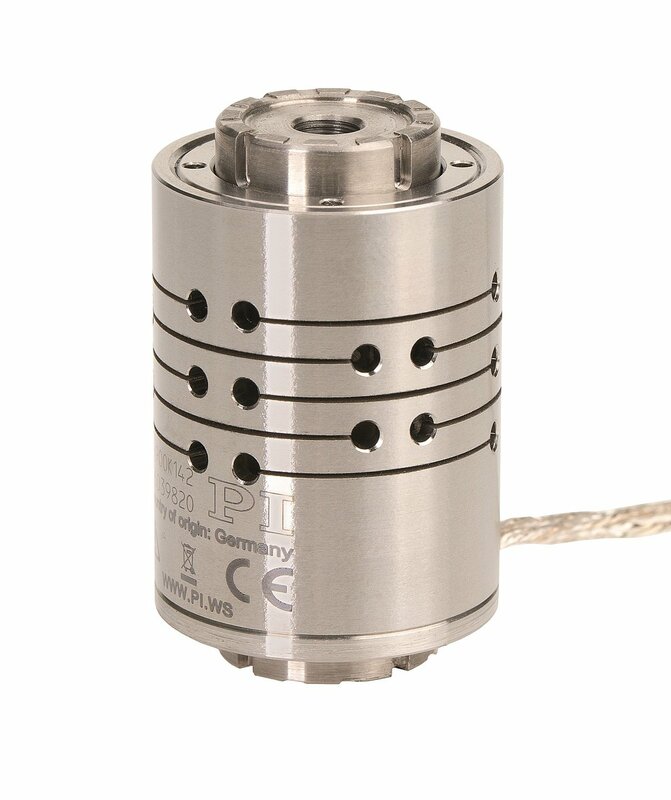 Tests at PI have demonstrated that the stability of the displacement of PIRest actuators depends only on changes in the ambient temperature. Using an actuator with 10 µm nominal adjustment range, long-term tests indicated a position drift of less than ±100 nm in a temperature-stable environment that does not deviate by more than 1 K.
The system, consisting of a PIRest actuator and a manual control device, can generate changes in length of a few nanometers irrespective of the load. The displacement is dictated by the length of the actuator. 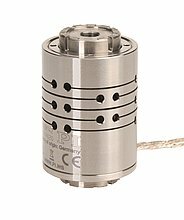 Simple single-axis actuators with displacements up to 10 µm are available as standard. 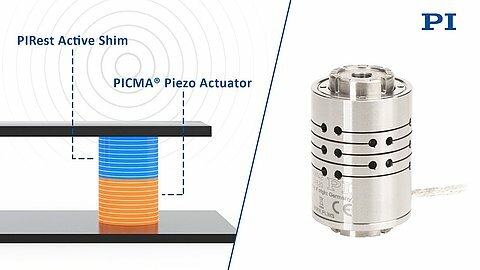 Generally, the PIRest technology can be manufactured in all form factors available in the PICMA® series product portfolio for multilayer piezo actuators. Hybrid actuators consist of a classical and a PIRest piezo actuator. While the PIRest actuator part corrects the position permanently as described, it is possible to use this as a basis for performing dynamic motion via the classical actuator. 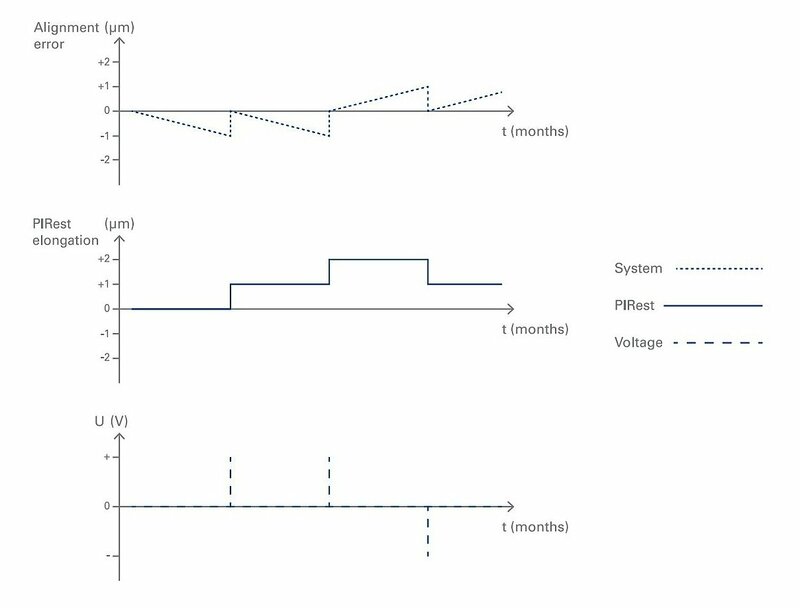 This can be helpful for dynamic compensation of vibration in a range of several 10 Hz or for readjusting a focal plane during a measuring or scanning process, or for controlling a laser beam in measuring technology or material processing. Alignment of the machine subassemblies does not necessarily take place in one dimension with respect to its final position. Despite two-dimensional planar adjustment of components, a six-dimensional alignment includes all spatial angles, therefore allowing optimized positioning. Thanks to sophisticated arrangement of the individual actuators, PIRest technology allows parallel-kinematic, multi-axis actuators in one single design.